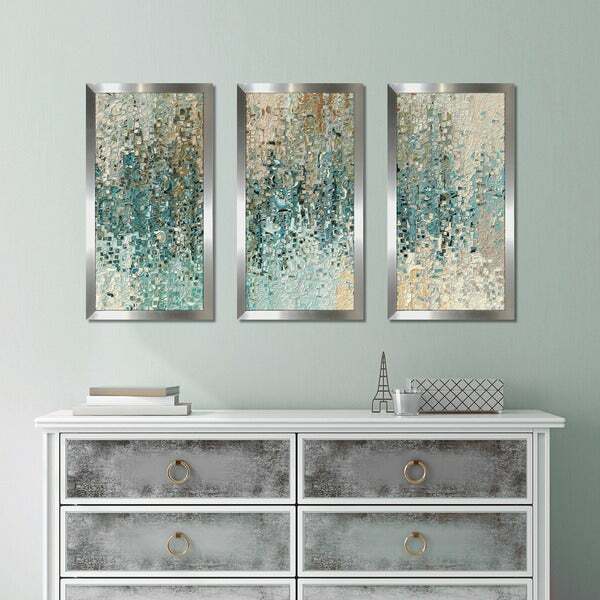 Foster a mesmerizing and contemporary-themed aesthetic inside your home with this alluring three-piece artwork. 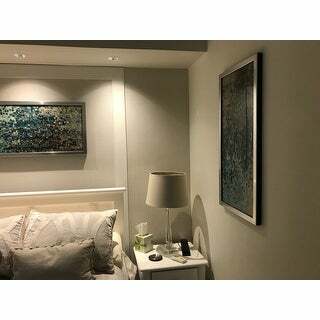 This art piece showcases a stunning giclee print on acrylic paired with an attractive silver-toned frame, serving as an ideal decorative element in modern homes. I am absolutely happy with my wall art set. Stylish, beautiful. 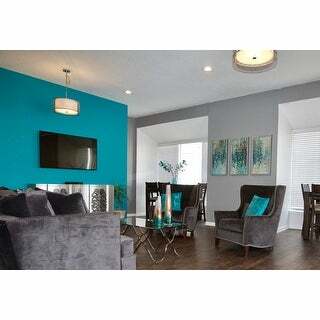 The color added vibrancy and freshness to my living space and completely transformed the room. This set is nothing i have seen before and my guests are asking where i bought it. Looks a lot more expensive thanks to the stylish silver frame. I recommend this wall set to anyone. Love it and you will too. I ordered this for my living room after much thought. The frames are not silver. It’s like a silver material that’s put over a black frame. There is only silver on the front and not on the sides or top. On one of the frames the silver material was lifting from the bottom which was super noticeable. I super-glued it down so it looks great now. Overall I’m happy with the look. Super glue saved the day! Beautiful pieces! 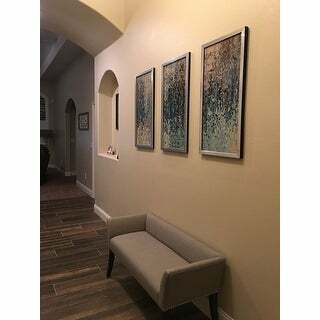 The grouping of 3 looks beautiful in our commercial space. Lightweight and easy to hang. 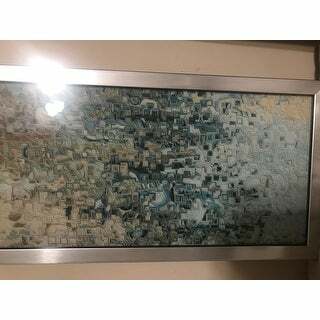 Its a shiny plexiglass and they arrived in perfect condition-no dents or scratches on the frames. Not happy with this item for the price they charged for it! 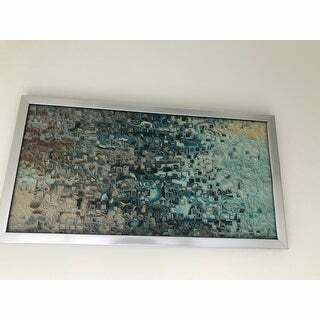 In the picture online it looks like t would be an actual textured painting but it literally is a slick print in a shiny frame! Not impressed! 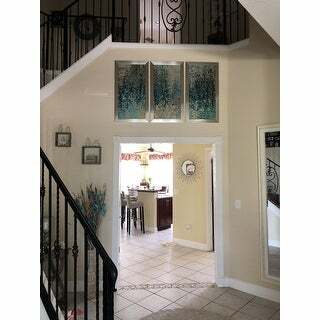 These paintings or wall art is georgous we purchased 3 set and we place each set in a unquie way. They are the perfect size and the colors are awesome. I am going to purchase a few for Christmas gifts. They will add style to ant decor. They are beautiful. 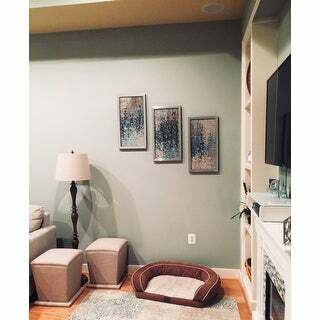 I really like the modern, colorful pictures in my living room. The slim silver frames are very nice. I needed some artwork for a large wall space in our den. I love the colors and the brushed "steel" look of the frames. 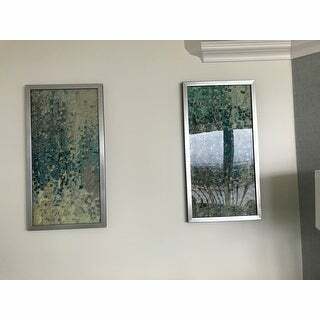 The brushed metal look is only on the front, while the sides, top and bottom of the frames are black...not really important to me because of where they are on the wall, but I mention it because it might matter to some people. While not too pricey, the set definitely looks more expensive than it is. I staggered them to take up more room on the wall and am very pleased with the end result. They arrived very well packaged and damage-free. the picture is flat, no texture. I was very disappointed so sent mine back. I didn't realize it was plexiglass so I wasn't expecting it to be so glossy. But, that was totally on me for not catching that when I ordered it. It was very nice, just not what I wanted for my space. I wanted something with a little more texture. 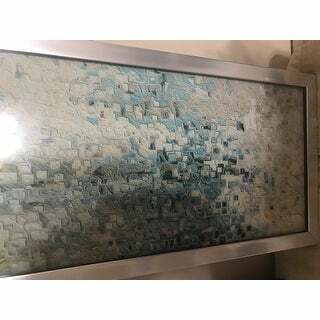 If I could find a textured version of the print, or even just something not so glossy, I would buy it because I do love the piece as a whole. Terrible! Doesn’t look like picture. Looks extremely cheap. Not something I’d ever hang in my house. It’s not a textured painting but a cheap printed piece of paper. Can’t believe anyone would pay more then $ for this. Really bad! Beautiful and could not be pleased more. This is an absolutely gorgeous set! You will not be disappointed with this fantastic grouping. It looks like an extremely high end art. I would highly recommend it. It was packaged really well too. 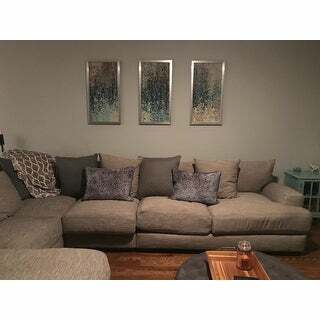 These frames stand out beautifully in my livingroom. 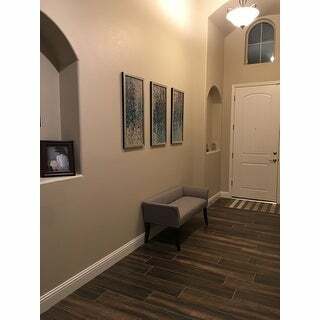 They are big and a great accent to the room. I definitely recommend these frames! 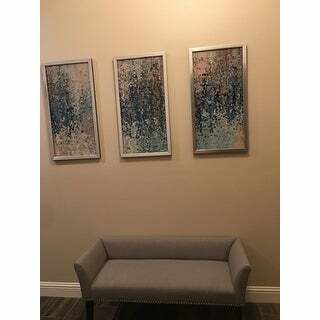 Love this set of three prints, great color and great detail. The frames are elegant and simple yet stylish. i have them in my dining room as acdents. This looks great on my wall. it is the best wall art I have ever brought. The pictures only look good from a distance but not close up. I love these pictures. Goes well in my bedroom and very easy to hang. I'm glad I decided to purchase them, even after reading some of the reviews. 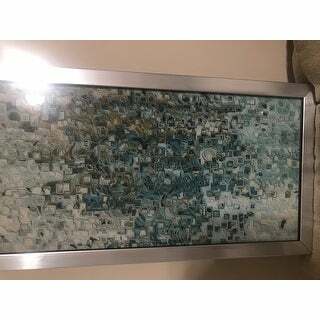 "Would like to purchase but not sure of the color blue or green"
The wall art has more blue tones. "Since these are custom made can the frames be bronze color? or only silver?" "Does it have a texture to it or is it flat?" Flat, this is simply a print that's framed.